We are republishing this piece as part of our series of articles and social media postings relating to the 100 year anniversary of the Russian Revolution #RussianRev100Years. This article is based on a talk at the 2016 London Anarchist bookfair republished from the Anarchist Writers site. It covers the basic myths and realities of the period and concentrates on non-Anarchist sources – academics and Leninists themselves. This is not because the anarchist critique is lacking (there are many well known sources from Anarchists) but it is done to show that the anarchist critique has the support of a substantial body of evidence. As indicated in the talk, all quotes are from section H of An Anarchist FAQ. 2017 marks the 100th anniversary of the Russian revolution. We can expect a mountain of articles (although less than in 1967!) about how wonderful the Bolsheviks were and, of course, why we should seek to apply their ideas today. So the time arrives when we must understand what actually happened in Russia. The reality – rather than the rhetoric – of Bolshevism, to expose, to use Alexander Berkman’s term, The Bolshevik Myth. To do this I will attempt to summarise the relevant information in An Anarchist FAQ (section H) and I am not going to quote a single anarchist – this account is based on work by historians and Leninists. 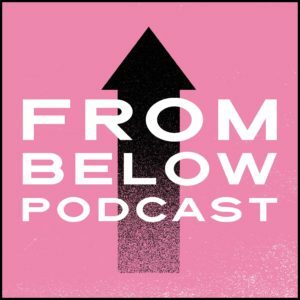 I do this simply because they provide overwhelming evidence to support the anarchist critique – and predictions – of both Marxism and the Bolshevik revolution. The revolution in 1917 started spontaneously with protests and strikes over food shortages in Petrograd – protests which were opposed by the local Bolshevik leadership, so not the most auspicious of starts. It also quickly saw the recreation of the soviets which had first appeared during the 1905 near-revolution as well as the extension of demands from just political to social transformation – as argued by anarchists but rejected by Marxists in 1905 – which lead to the rise of factory committees, demands for “workers’ control”, expropriation of land by the peasants, etc. It was only once Lenin had returned to Russia that the Bolsheviks started echoing anarchist arguments. 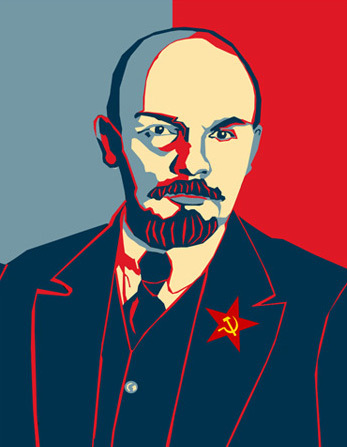 Needless to say, Lenin came into conflict with his party bureaucracy but the mass influx of radicalised workers who were not Marxists and no concern over following “the party line” gave the edge to Lenin – who also continually violated the party’s own “nature, structure and ideology” to force it to play an important role in 1917. However, it retained a bureaucracy. As Tony Cliff admitted, “a certain conservatism arose” within the party – so much so that it was a hindrance to the revolution: “At practically all sharp turning points, Lenin had to rely on the lower strata of the party machine against the higher, or on the rank and file against the machine as a whole.” Lenin spent as much time fighting his own party machine as he did advocating revolution. All of which refutes the basic assumptions of Lenin’s party schema, namely that the broad party membership, like the working class, was subject to bourgeois influences so necessitating central leadership and control from above. However, the party bureaucracy did not disappear and played a negative role once the party seized power – providing a structure and an ideological justification to introduce the centralised control upon which vanguardism was premised. The promise of “working bodies” – the fusion of legislative and executive functions in the one body – was the swiftly broken for the very first body to be created was the “Council of People’s Commissars”. This was a government above the Central Executive Committee of the soviets congress and so separate from and above the national soviet congress. Perhaps it could be argued that Lenin’s promises were kept as the new government simply gave itself legislative powers four days later? No, for the Paris Commune took executive power into its own hands, Lenin reversed this. By early 1918, there was a systematic campaign against the elective principle in all areas of social life. In the workplace, Lenin argued for and appointed one-man managers “vested with dictatorial powers” in April 1918. This was the elimination of factory committees by “one-man management” under centralised state control. Not, of course, that he ever supported genuine workers’ control but rather workers’ supervision of bosses – and it must be stressed that the demand for workers’ control was raised by workers, not the party, which again refutes the assumptions of vanguardism. 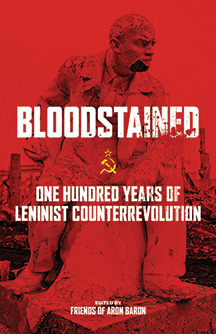 In the soviets, the Bolsheviks refused to hold elections because they “feared that the opposition parties would show gains.” When were finally elections held, “Bolshevik armed force usually overthrew the results.” In addition, the Bolsheviks “pack[ed] local soviets” with representatives of organisations they controlled “once they could no longer count on an electoral majority” so making direct elections from workplaces irrelevant (for example, in Petrograd “[o]nly 260 of roughly 700 deputies in the new soviet were to be elected in factories, which guaranteed a large Bolshevik majority in advance” and so the Bolsheviks “contrived a majority” before getting 127 of the 260 direct delegates). This soon became a source of inefficiency and waste – as well as new privileges and powers for the few. In terms of arming the people and removing “special bodies” of armed men, this promise did not last two months. In December 1917 the Council of People’s Commissars decreed a political police force, the Cheka. 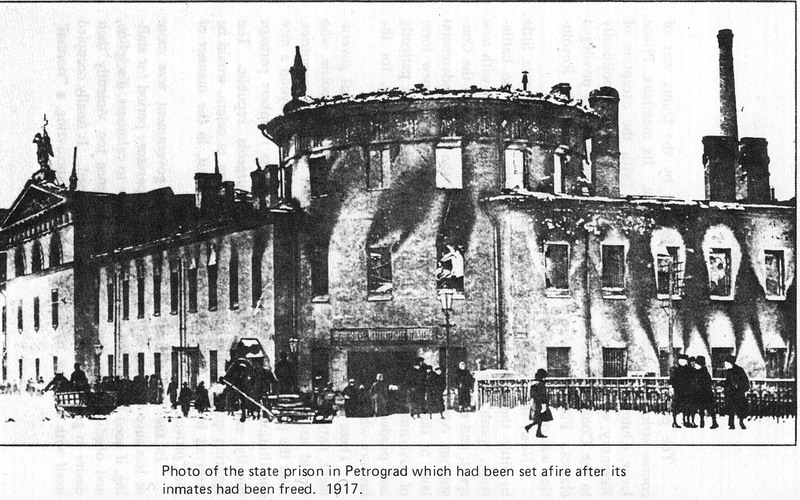 Significantly, its first headquarters were those of the Tsar’s secret police. As noted, elections in the armed forces eliminated by decree in March 1918 and so the Red Army was turned from a workers’ militia (i.e. an armed people) into a “special body”. Needless to say, this was soon used to disband soviets, break strikes, protests, etc. All this was the period before the outbreak of the Civil War in late May 1918. By the anniversary of the October Revolution, the new regime had taken shape – and it bore little resemblance to State and Revolution. Politically, it was in practice a Party Dictatorship. As well as the onslaught on the local soviets, the Bolsheviks packed the Fifth Congress of Soviets in July 1918 denying Left-SRs their majority (which, incidentally, explains why Leninists today are always so keen to control the credentials committee!). Economically, it was State Capitalism with “one-man” management the official policy (and systematically imposed once victory was believed to be secure in 1920). It had a Statist and centralised economic structure which simply handed the economy to the bureaucracy. Significantly, the previous bosses mostly retained – they preferred state control to workers’ control. The bureaucracy was firmly in place for “in the soviets and in economic management the embryo of centralised and bureaucratic state forms had already emerged by mid-1918.” By the end of 1920, there were five times more officials (5,880,000) than industrial workers! So the state power is needed for the vanguard to rule the working class – to force the masses to be free. Unlike in 1917 when Lenin had argued that the new (“workers”) state would repress only the exploiters, the Bolsheviks in power swiftly came to the conclusion that it must be used – and was used – to repress whoever opposed Bolshevik power – including workers and peasants. Significantly, of the 17,000 camp detainees in November 1920 with statistics, 39% peasants and 34% workers. Let us recall Lenin’s words from 1917: “where there is suppression there is also violence, there is no freedom, no democracy.” So, then, there cannot be working class freedom or democracy if the “workers’ state” is suppressing it. This did not happen by accident – there are ideological roots to all this. This cannot help but create a privileged place for the party and its leadership. Moreover, the logical conclusion of this argument is that class consciousness is determined by how much the workers agree with the party leaders. It cannot help but substitute party power for workers’ power – particularly as the former was always the aim – and give that power an authoritarian, indeed dictatorial, aspect. This reflected What is to be Done? and so the Soviets were seen as instrumental for building the party, not managing society, and in 1918 the clash between soviet democracy and party rule was resolved in favour of latter – the soviets did indeed become “superfluous” even if they remained in formally existence. Then there was the Bolshevik’s vision of “Socialism.” This was inherited from Marx and so was marked by nationalisation, centralisation and rooted in statist forms and prejudices. Lenin’s position on “one-man management” clearly reflected Engels’ anti-anarchist diatribe “On Authority” for a perspective which viewed the workplace as inherently authoritarian does not see the necessity for self-management. Likewise, the Bolshevik’s attempts at the “militarisation of labour” reflects the “industrial armies” of the Communist Manifesto. Given this ideological legacy, it comes as no surprise that centralisation was fetishized and implemented by the Bolsheviks. 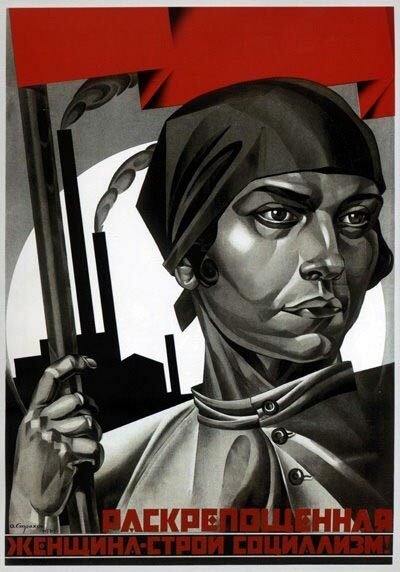 Equally unsurprising, in reality this meant that power concentrated into fewer and fewer hands – both political and economic power – and so the Bolsheviks had a vision of “workers’ power” which systematically disempowered the workers. Thus Bolshevik ideology, via the structures it favoured and decisions it shaped, made the economic crisis facing the revolution worse. As any trade unionist can tell you, this is simply naïve. And, of course, Trotsky eventually recognised that in any such “antagonism” it was the masses which were in the wrong and allowing them to “dismiss” government wrong. Ironically, he later acknowledged that the Bolshevik party itself had a bureaucratic caste within it. So what, according to the Leninists, were the “objective” factors which derailed Bolshevism? There are usually four: civil war, economic disruption, the decline and “declassing” of the industrial working class; and isolation – the lack of revolution in Western Europe, specifically in Germany. I will discuss each in turn. And remember, he (falsely) proclaimed that anarchists ignored the danger of counter-revolution in State and Revolution­ – as such it is hardly a sound defence to blame the degeneration of the revolution on something you are meant to consider as inevitable and whose inevitability you (dishonestly) denounce anarchists for ignoring! Moreover, the repression of internal socialist and working class opposition was inversely proportional to the threat – the closer the Whites were, the less the repression as the Bolsheviks needed everyone to defend the revolution and the socialist opposition preferred the Reds to the Whites; the safer the regime was from the Whites, the worse the repression. And this repression was directed against even those who worked within the official channels laid down by the Bolsheviks (that the “Mensheviks were not prepared to remain within legal limits… does not survive an examination of the facts.”). In addition, this excise ignores how Bolshevik economic policies made the disruption of the economy worse – no wonder there was little to exchange with the peasants. Worse, while the mobilised troops could not produce goods and had to be fed, the peasants also had to feed the troops stopping them trying to bring their crops to the towns and cities! So blaming the very real economic disruption for Bolshevik policies when these very policies made a bad situation worse is not very convincing. It is true that there was a decline in size of the industrial working class during this period however “a substantial core of urban workers remained” and these workers were more than capable of taking collective action. Indeed, “each wave of unrest was more powerful than the last, culminating in the mass movement from late 1920” – with corresponding Bolshevik repression of strikes and protests. This flows from What is to Be Done? where class consciousness is introduced into the masses by a few intellectuals from outside – so it logically flowed that if workers no longer agreed with the party they must be “declassed.” It would be hard to find a better (worse?) example of circular reasoning. Simply put, a “disappeared” working class does not produce strike waves nor need martial law to break them. The facts are the Russian workers were taking collective action against the so-called workers’ state. The Bolsheviks simply repressed any expressions of collective decision-making and action in order to maintain power – as any ruling class does. As for isolation, well the economic disruption in Germany was relatively the same as in Russia in 1917/18 and if that caused the “retreat” there then surely we can expect the same in Germany? Particularly given the same underlying vision of socialism as centralised nationalisation of production? Also given that Germany likewise faced civil war during this period. And it must be added that the notion of the objective necessity of party dictatorship was well embedded by this stage. In short, if the German Revolution had “succeeded” it would have followed the same path as the Russian one for most of the objective and ideological factors were the same. Most of these rationales were developed long after the event – along with at least a verbal admission that certain decisions were actually wrong from a socialist perspective (once more people were made aware of them by anarchists). Yet we must not forget that there is “no evidence… that Lenin or any of the mainstream Bolshevik leaders lamented the loss of workers’ control or of democracy in the soviets, or at least referred to these losses as a retreat… the very opposite is the case.” This can be seen from the defence of party dictatorship and how both Lenin and Trotsky in 1920 argued that one-man management was introduced when, as the former admitted, “there was no civil war” in 1918. So these latter-day rationales involve a very selective memory. Not least with Trotsky. For example, in The Revolution Betrayed he argued that the “demobilisation of the Red Army of five million played no small role in the formation of the bureaucracy. The victorious commanders assumed leading posts in the local Soviets, in economy, in education, and they persistently introduced everywhere that regime which had ensured success in the civil war.” He forgot to mention who introduced the regime in the Red Army in 1918 and who wished to extend it to the militarisation of labour in 1920! Likewise, he opined that the Army’s “commanding staff needs democratic control. The organisers of the Red Army were aware of this from the beginning, and considered it necessary to prepare for such a measure as the election of commanding staff.” Strangely he failed to mention that his first act as head of the Red Army was precisely to abolish by decree the election of officers. Of course, Leninists can – and have! – proclaimed that the Bolsheviks had no choice to act as they did, that their actions were driven by events, not ideology and that anarchists would have been forced to do the same thing if they were in the same circumstances. Yet this is obviously not true: Bolshevik ideology obviously influenced their decisions. 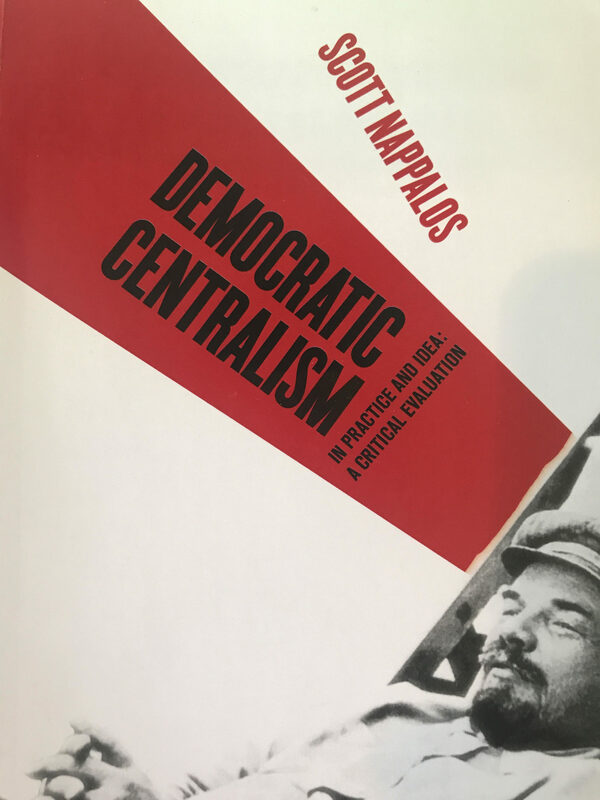 This can be seen from how their prejudices for centralisation and long-standing visions of socialism were reflected in practice in terms of the structures they built, how the privileged position of party was reflected in authoritarian practice, and so on. Moreover, the Makhnovists in Ukraine show that ideology placed its part. This anarchist influenced movement encouraged soviet democracy, while the Bolsheviks banned it; it encouraged election of officers within the armed forced, while Bolsheviks banned it; it promoted freedom of speech, etc., while the Bolsheviks banned all such elementary rights. So we have the same civil war, same conditions (arguably worse) and yet different results. Proudhon wrote that “every society declines the moment it falls into the hands of the ideologists” and this was mostly certainly the case with the Bolsheviks. Yet their failure was not unexpected for Bakunin had argued that Marxism would lead to either reformism (due to Marxism’s electioneering) or a new class system based on the state bureaucracy and state capitalism (due to its Statism). Other anarchists – like Kropotkin – echoed this analysis and denounced the obvious descent of Social-Democracy into reformism and warned that the dictatorship of the proletariat would become the dictatorship over the proletariat. On both counts, we were proven correct. So why the failure, why the rise of a new ruling class? This was due to two factors, ideological and structural. Bolshevism’s vision of socialism was flawed, its analysis/theory of the state was flawed, its theory of the party was flawed. In short, Marxism is flawed – as anarchists argued and we simply saw our predictions confirmed. A new society needs new structures, new social organisation. These must be based on mass participation, federalism, bottom-up decision-making – in short, all the things which the centralised, pyramid of the State was designed to exclude. Unsurprisingly, then, the Russian revolution confirmed anarchist theory both in terms of our critique of state socialism as first raised by Proudhon in the 1840s and our alternative vision of social transformation.